Monsoon has its own magic and nothing can beat it. And if you are staying anywhere close to Chandigarh, you are blessed with the option of visiting the nearby hill stations and experiencing the rains right in the middle of lush green mountain beauty. So, no matter how tempting it is to stay indoors listening to the sound of the rain while you enjoy that hot cuppa coffee, this is precisely the time to get your backpack on and get going. From those misty mountains to those enchanting waterfalls, from tall-rain washed trees to foggy environs, one can experience all within 100-150 kilometres of Chandigarh. So, here goes the list of few handpicked locations that are bound to make your getaway a special one. Take your pick. At a distance of about 45 kilometres from Chandigarh, lies a quaint hamlet in the Panchkula district. The lush greenery and serene lakes make for an unforgettable trip. 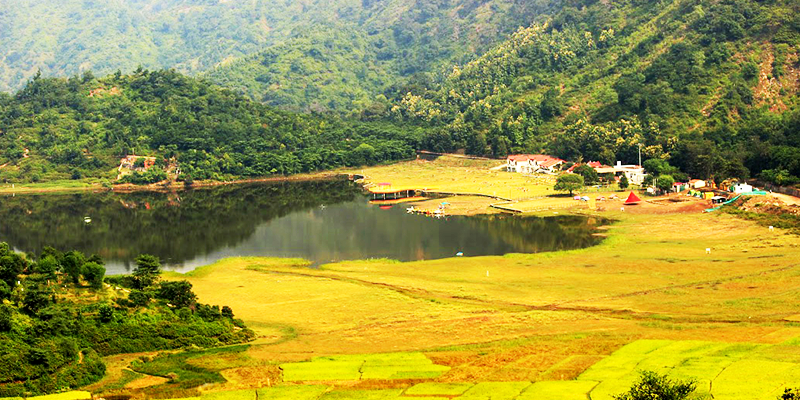 This charming hill station is blessed with three lakes (or taals) – Bada Tikkar, Tikkar Taal and Chota Tikkar. Considering the fact that the beauty of any hill station is amplified with a touch of rain, this place during the monsoons is dream-like. Apart from its breathtaking views, Morni also has an ancient fort called the Morni Fort (or Mir Jafar Ali Fort). Though it’s still not very popular among the tourists, this old structure is simply awe-inspiring. Nestled amidst the foothills of Shivalik, Parwanoo is at a very close proximity to Chandigarh yet extremely far from the city clutter. Located at about 35 kilometres from the city, this place is a refreshing weekend monsoon retreat. 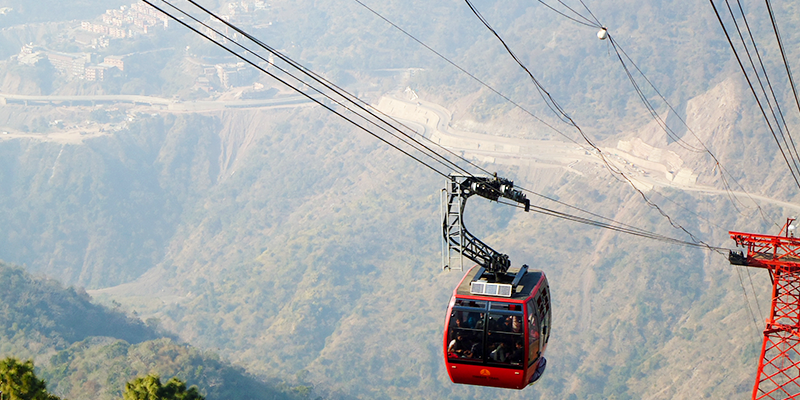 The Timber Trail is one of the major attractions of this sleepy town with a cable car that connects to the resorts snuggled in the hills. The two kilometres stretch of ropeway displays a rain soaked array of trees within a few minutes. At 5,000 ft above the sea level, Parwanoo comes alive during monsoons with thick vegetation, low cloud cover and crisp fresh mountain air. From adventure, luxury and recreation, one can experience all of it, right here. A small cantonment town built during the British Raj, it is about 65 kilometres from Chandigarh. Enveloped by oak and chestnut trees, this hill town is perfect for a monsoon getaway. Colonial styled hotel rooms with their pocket friendly tariffs make Kasauli a favourite among the tourists. It also boasts of one of Asia’s oldest breweries. So, with open-air roof cafes and a view of clouds resting on hilltops, dew sparkles on the lush greens, and cool breeze brushing through your hair, you’ll experience what ecstasy really feels like. Another thing which is an absolute favourite in the rainy season is the very famous Bandsamosa (it’s a butter laden bun that is stuffed with a samosa) coupled with hot chai. 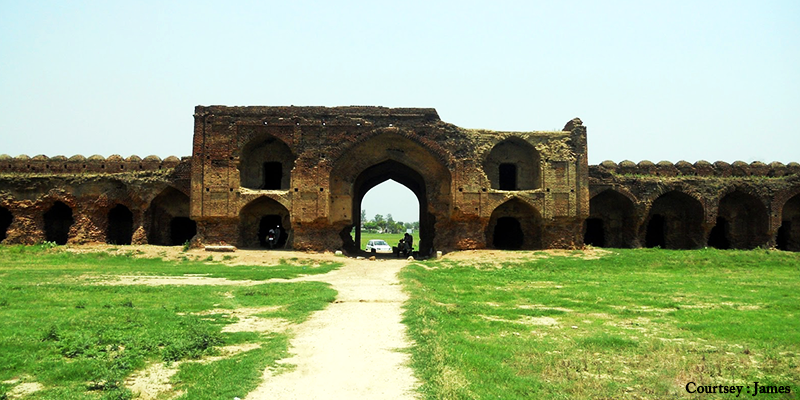 Mughal Sarai, or more popularly known as the Rang De Basanti Fort (RDB Fort) is about 86 kilometres from Chandigarh. This fine piece of architecture was built by the Mughal Emperor Jahangir as a resting place for Mughal Caravans. Although it’s in dilapidated condition now, it’s still a beloved weekend getaway for the adventure lovers. 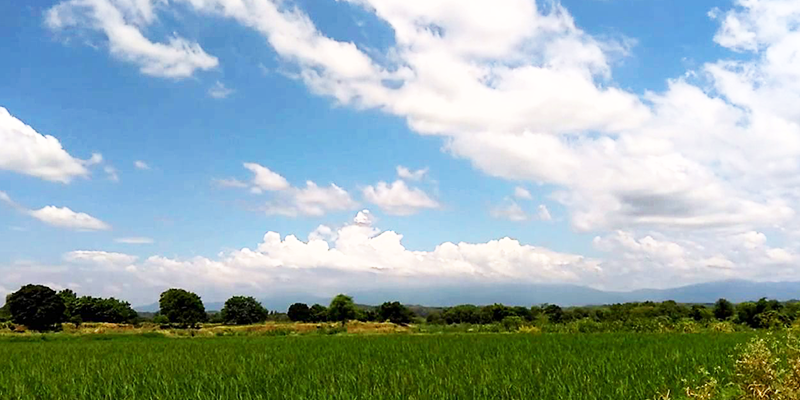 Imagine a huge fort amidst a rich green landscape, and with the touch of rain, it’s more than a little romantic. This place leaves you with the real slice of Punjab along with a little filminess to it. Win-win! Looking for a quiet weekend escape in the lap of nature? 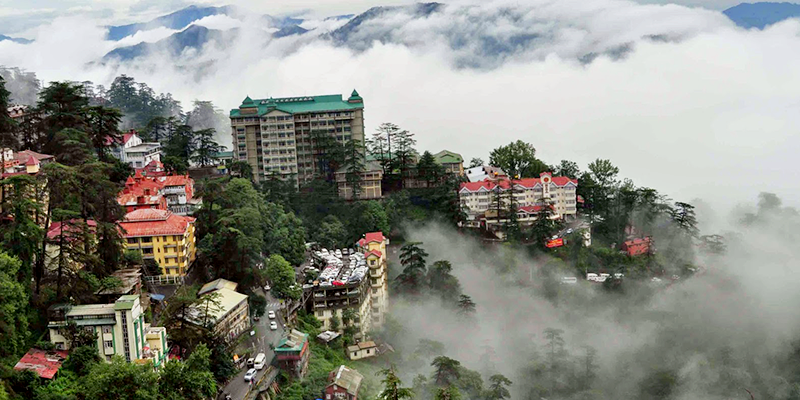 It’s time to ditch Shimla and think beyond it. Explore Chail! 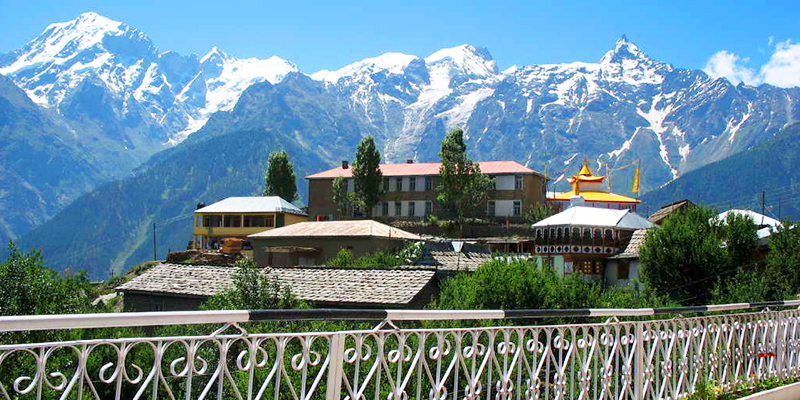 This alluring hill station is about 103 kilometres away from the “City Beautiful”. On an average day Chail is ravishing. During the monsoons, it’s unforgettable. Wrapped with tall deodars and chair pine, Chail is a paradise for trekkers. Chail Sanctuary in Sadhupul and Chail Gurudwara is places to go to while you’re there. If you are visiting or residing in Chandigarh, then you owe a visit to these beautiful monsoon destinations.